Nokia’s involvement with the Maps application on Windows Phone was just the beginning with traffic coverage improvements. 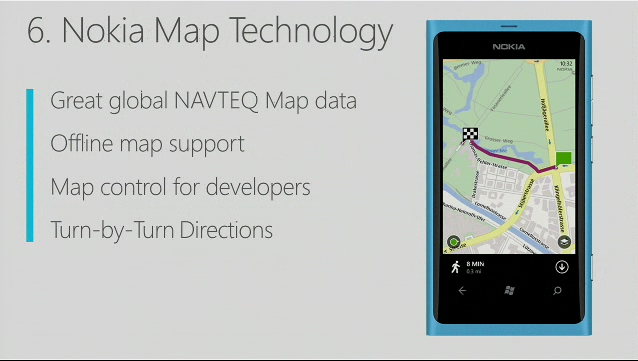 Confirmed at the Windows Phone Developer Summit today, Nokia Map Technology will be fully built-in on the Windows Phone. Nokia’s map technology will bring more results, allow maps to work offline, allow developers to control maps with their third party applications, and will deliver turn-by-turn directions to the Windows Phone. All the features of Nokia’s map technology will be integrated on all Windows Phone devices, and in all countries that sell Windows Phones.